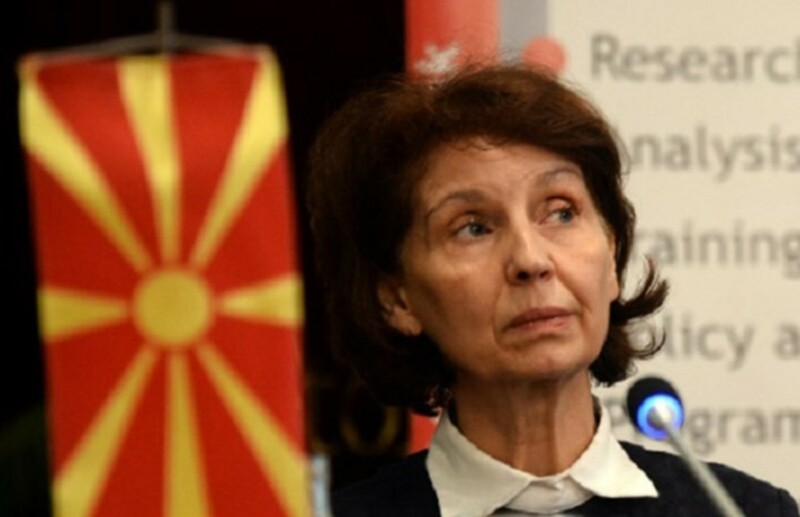 After interviews with presidential candidate, Stevo Pendarovski, who has been nominated by ruling party SDSM, and independent candidate, Blerim Reka, IBNA news agency has also held an interview with VMRO-DPMNE backed candidate, Gordana Siljanovska-Kavkova. In this interview, she talks about her challenges as candidate in the presidential race, the fact that she’s against the Prespa Agreement and her plans to review this agreement. This is the first time you enter a presidential race. What was the reason you decided to do this and what sort of expectations do you have? This is a new challenge for me, despite the fact that I do have some experience in politics. As you may know, I served as cabinet minister from 1992 to 1994. Being a professor, I have had the chance to be involved in political debates. After ending my mandate as minister, I said to myself that I could not be a politician. Therefore, I decided to focus all of my efforts towards my work as professor. I was encouraged to go back to politics by the community of academics. It was more reasonable for me to run as part of a big party. Some say that it was not normal for me to be nominated by VMRO-DPMNE. My answer to them is this: is it normal for me to be nominated by a party which is promoting failed policies? Despite the fact that I was nominated by VMRO-DPMNE, I am not closely tied to this party’s manifesto. My scope is to use my constitutional and political experience to help my country become a state where there’s rule of law and where institutions are independent. Neither I, nor the citizens have anything to lose. Our aim is to restore trust on institutions. What is your offer? Why must people vote you? It’s hard to present my entire political manifesto in an interview like this, but I have tried to do this during the presidential campaign. I think people need new figures, which have not been seen up until now. The second reason has to do with the fact that I have a profound knowledge of the political system and also the fact that I have many colleagues at the Venice Commission who could always offer me objective opinions. My aim is to be a different president, who is more active in her relations with the government and parliament. The third reason has to do with the fact that time has come for a woman to enter a political stage which has been dominated by men. What makes you different from the other two candidates, besides the fact that you’re against the Prespa Agreement and against the country’s new name, North Macedonia? All three of us come from the academic world. Me and my colleague, Blerim Reka, we come from the opposition camp and we’re critical towards the way the country is being governed. But our views about the Prespa Agreement change. Reka and the other candidate, Stevo Pendarovski agree on the the Prespa Agreement, but they disagree on the government’s performance. In my opinion, this government is damaging the country’s EU integration path. I’m convinced that the country’s name and the Constitution were changed in order to speed up the integration process, but the quite the contrary has happened, because we’ve lost cohesion in the country. People no longer trust institutions and they no longer trust NATO or the EU. The country’s name changed, but democracy in the country was badly damaged. If you’re elected president, what will be your priority in terms of relations with NATO and EU, but also in terms of relations with neighbouring countries? Macedonia’s foreign policy objectives have been already determined and I would not like to change them. What I would like to change is the way foreign policies are implemented so that national interests always come first. We must not let our country look weak in front of our neighbours. One of the first things I would like to do is to set up a team of domestic and foreign experts who will review the Prespa Agreement. As far as relations with neighbours are concerned, I would like to bring us closer to each other through concrete collaboration in economy and culture. I will support businesses, the academic community, culture and sport in order to strengthen relations between our countries even further.